A British company plans to launch a Braille e-reader for blind people this year that should greatly enhance their reading experience and spare them from lugging around hefty print volumes. But in its printed form it's not exactly convenient or portable: A Braille copy of the Bible can take up about 5 feet (1.5 meters) of shelf space. 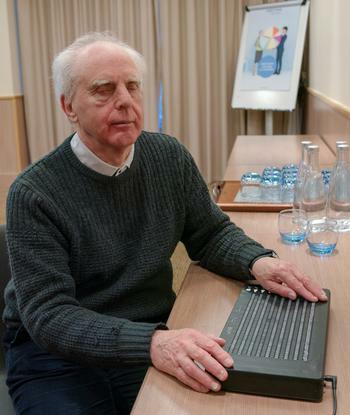 British firm Bristol Braille Technology hopes to change this with Canute 360, their new 'Kindle for the blind' which it says is the world's first multi-line Braille e-reader, displaying nine lines of text at a time, or about a third of a page of regular print. "This means you only have to press the forward button every 360 characters rather than every 20," said Stephanie Sergeant, whose company Vision Through Sound provides training for blind people and has been working with Bristol Braille. "It refreshes a line at a time, starting at the top. So even though it takes a little while for all the lines to refresh, you can start reading almost as soon as you press the forward key." Any text that has been translated into Braille format can be downloaded into the Canute, potentially putting an endless supply of reading material at the user's fingertips. 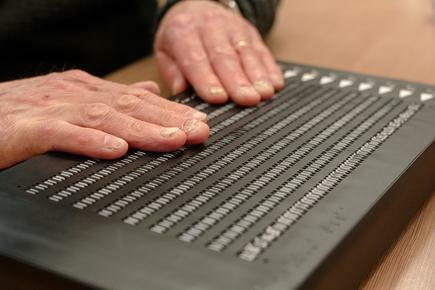 The proportion of blind people who can read Braille lettering, formed of one to six dots in a range of combinations, has fallen, partly due to advances in audio description technology. But Bristol Braille says learning to read it can significantly boost literacy and numeracy rates among the blind. The final prototype of Canute will enter mass production this year, priced similar to a high-end laptop. 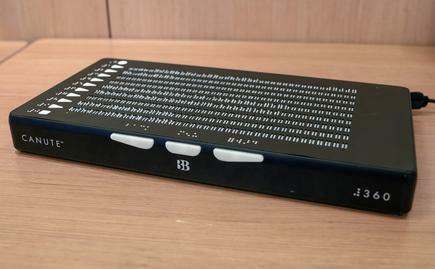 "Innovations in the field of Braille technology make this a very exciting time for Braille readers," said Claire Maxwell, senior product developer for Braille at the Royal National Institute of Blind People.